Where other than Dubai would one expect to see a tower which includes an artificial beach and a rainforest in the middle of a desert? The Rosemont Towers will be a 47-story getaway consisting of two towers connected with a five-story podium that accommodates 450 hotel rooms, a sky lobby, sky pool, and exclusive residential amenities. The project was designed by ZAS Group and Kieferle & Partner. 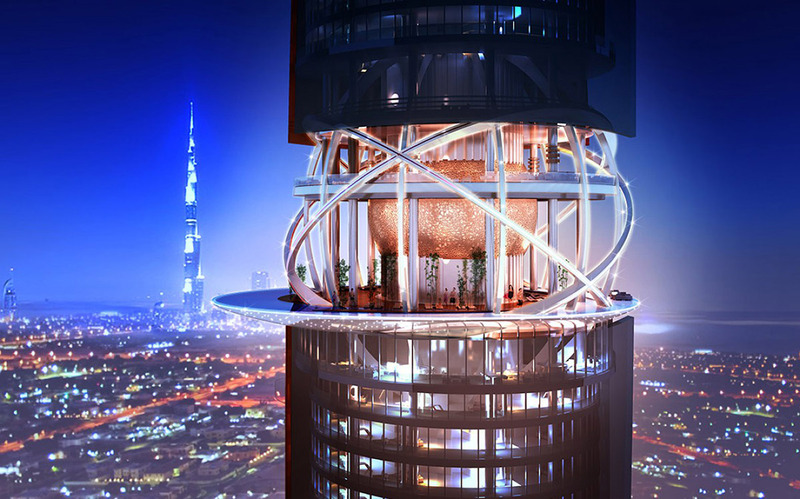 The project promises to be, well, just what you would expect from a resort in Dubai. The project will be located off Sheikh Road in Al Thanyah First in Dubai, and will comprise an area of around 13,000 square meters. Housing a total of 106,000 square meters of content, the towers are expected to become a major destination in the area and create an active frontage on the side of the Sheikh Road. “The architecture of the building will represent today, in a city where smart and chic structures have contributed greatly to the destination. The intention of creating an active frontage on Sheikh Zayed Road side is achieved by a common podium proportioning the towers over as a pedestal, as modernism dominates the design,” said the company. The construction work has already started, with Civil Engineering and Contracting as the main contractor. The towers will become part of the so-called sixth-best skyline, according to real estate data management firm Emporis. The project will be located off Sheikh Road in Al Thanyah First in Dubai, and will comprise an area of around 13,000 square meters. Housing a total of 106,000 square meters of content, the buildings are expected to become a major destination in the area and create an active frontage on the side of the Sheikh Road. “The architecture of the building will represent today, in a city where smart and chic structures have contributed greatly to the destination." "The intention of creating an active frontage on Sheikh Zayed Road side is achieved by a common podium proportioning the towers over as a pedestal, as modernism dominates the design,” said the company. The construction work has already started, with Civil Engineering and Contracting as the main contractor. The towers will become part of the sixth-best skyline, according to real estate data management firm Emporis.